The wind was whipping across Laguna Torre and the high peaks were obscured by clouds, but it was still, without doubt, an impressive scene. The iceberg floating in the lake to the left of the picture flipped over while we were there. 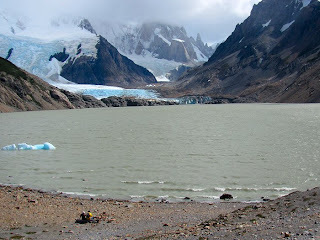 In the left background, glacial ice descends from the Cordon Adela. 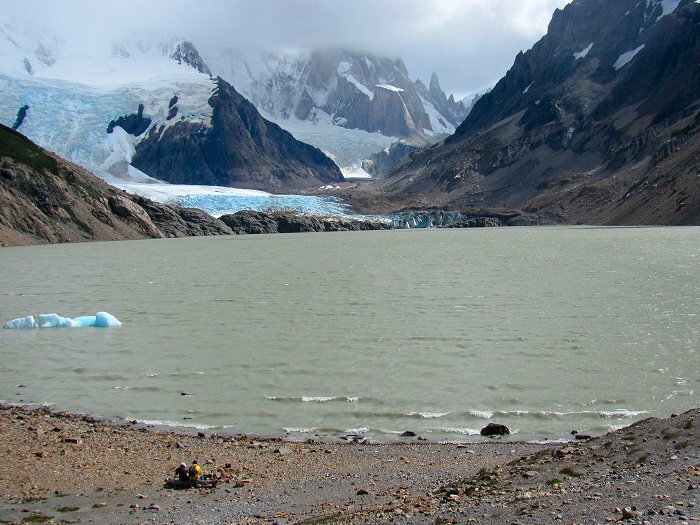 In the right background, the lower portions of the Cerro Torre, Torre Egger and Torre Standhardt can be seen.